A few pithy comments on one of the most versatile and widespread plant types on the planet…should be able to knock that over pretty easily. Grasses are used to make food, drinks, paper, household goods, rope, building materials and more. I grew up with a field of sugar cane at the back boundary, and the sounds and colours of the annual firing are literally burned into my memory. In gardens and urban landscapes we have less contact with edible grass crops and much more exposure to turf and ornamental grasses. So in the interests of not biting off more grass than either of us can chew, here are a few musings on those. In Philadephia there have been a number of long-running programmes that convert the city’s vacant, unloved and abandoned lots into simple, clean mini parks. The limited budgets usually only stretch to cleaning up and then installing a low fence, perhaps a path and seat, maybe some minimal planting, and then turfing the rest. This all sends a message that the lot is now cared for, valued and open to the public. To see a bad use of turf grass, take a stroll along Margaret Street in Brisbane. See the mean-spirited fence and inaccessible lawn marking the site of the 100-year-old O’Reilly’s Bonded Stores, demolished last year to make way for a new development. 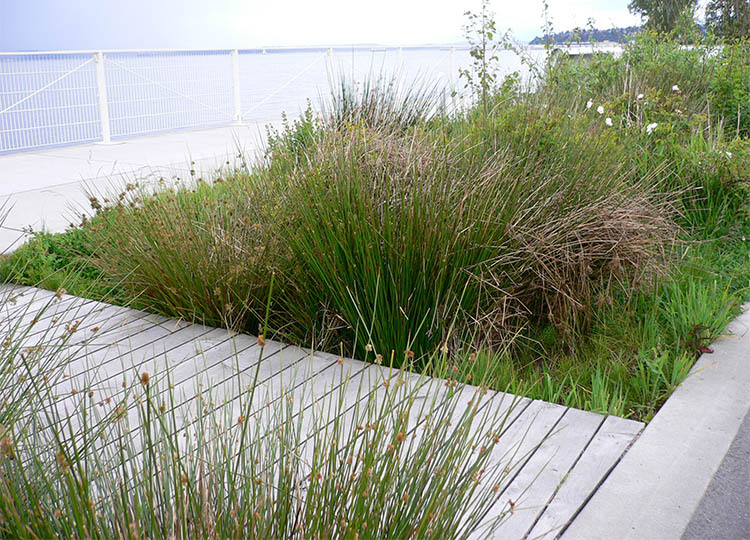 In public landscapes, lawn can be an unexpected and delightful surface treatment. Swathes of the light rail corridor in Dusseldorf are lushly planted with turf and bordering shrubs, creating a sinuous ribbon of green through the city. Some people are virulently anti-turf, and with good reason: turf grasses can be bottomless sinks of water and chemicals, they require maintenance using oil-powered machines, reduce diversity and take up land that could be used to grow more productive species. In parks, turf can be the bane of the landscape manager’s life: it gets hammered at big events, people take shortcuts across it, it wears unevenly and yes, it requires constant attention. But what’s the alternative? More paving? Parkland lawn is permeable, visually cooling, less glary and reflective, softer underfoot, and flexibly accommodates a wide range of uses and activities: in certain public settings it's incredibly successful and undoubtedly the best option. Playing peacock to the turf grass’s peahen are the ornamental grasses, including true grasses, sedges and rushes. 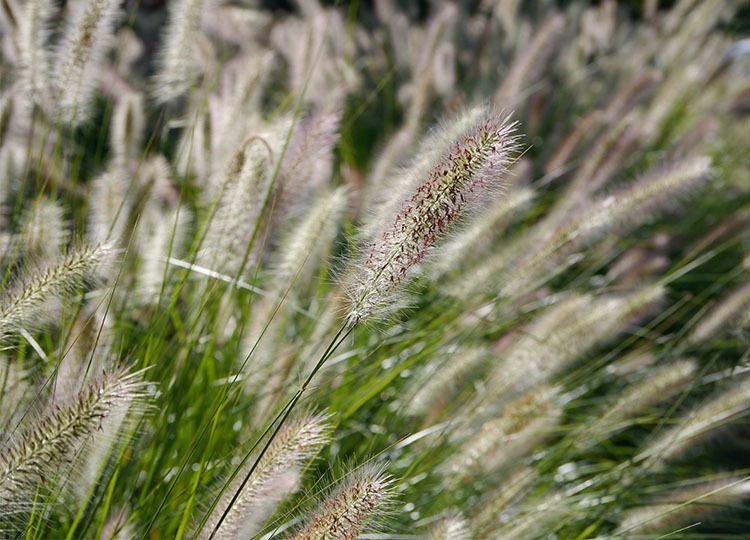 The diversity of colours, forms, textures and sizes makes grasses a tempting planting choice. 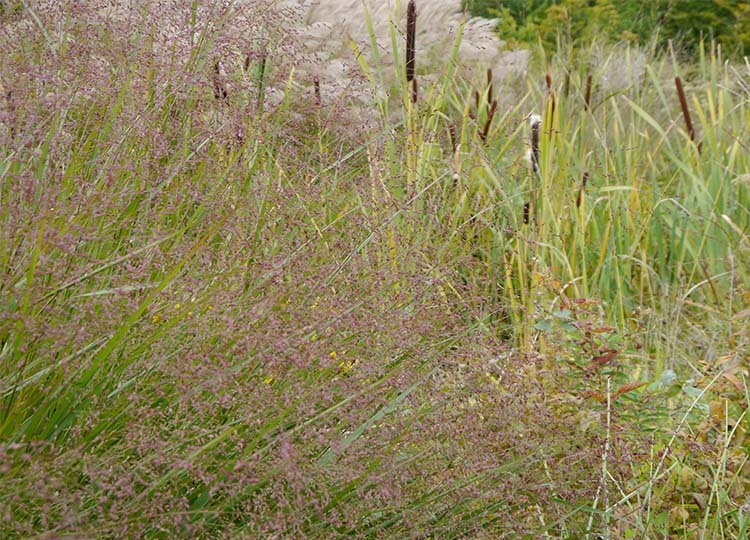 The range of different seed heads, flowers, and colour change as they die back means grasses are generous guests, contributing different things to the garden throughout the year. The sensory delight is enhanced by the play of light across the foliage and the movement of grasses in the breeze. Australian grass seeds for pasture, lawn and ornamental applications available through Native Seeds. Information on weed grasses in Australia. 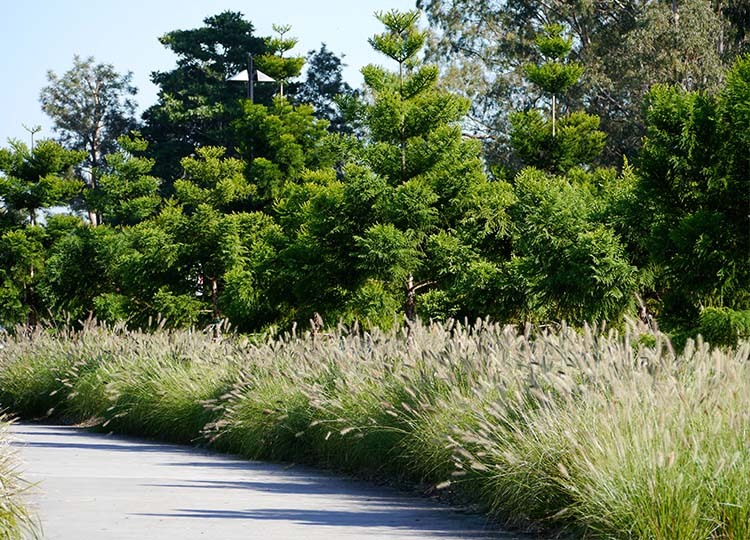 Ornamental Australian native grass cultivars by Ozbreeds.